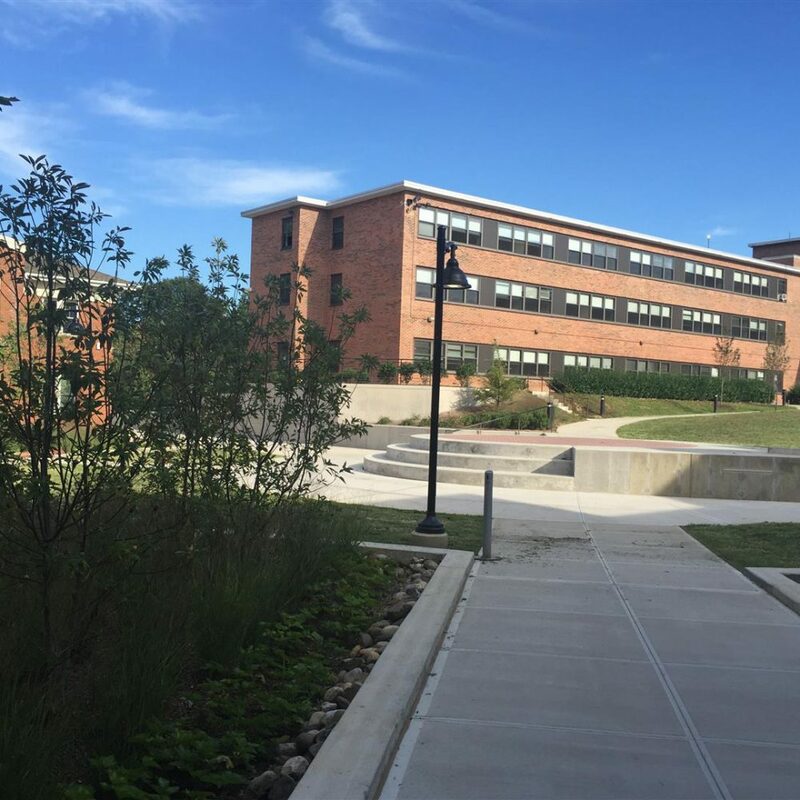 Verdant Landscape Architects collaborated with Noelker & Hull Architects for the development of the landscape design for a new student residence on the Mercy College Dobbs Ferry Campus overlooking the Hudson River. 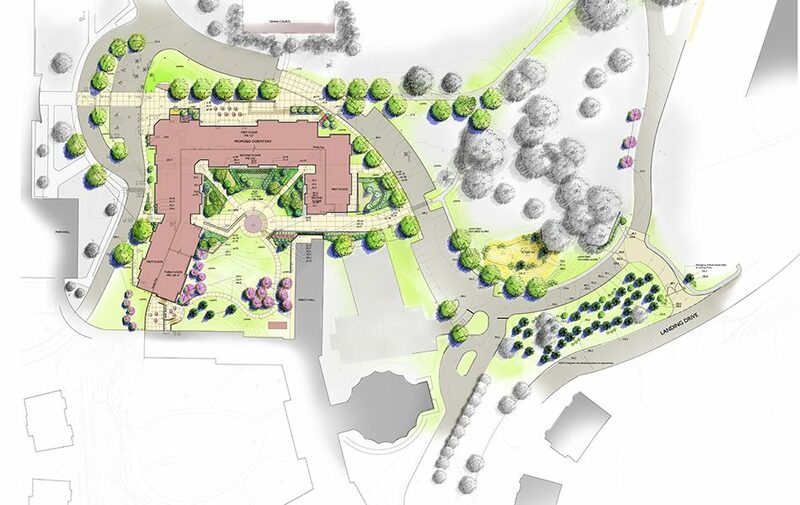 The landscape design focused on developing outdoor gathering spaces within a new “quad” formed by the new construction and adjacent existing residence hall. 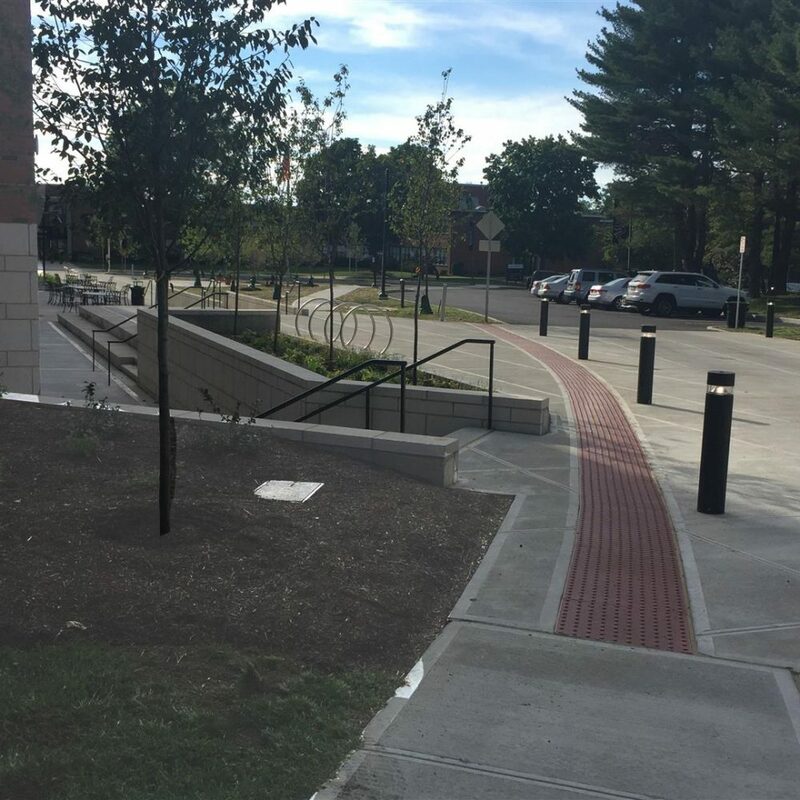 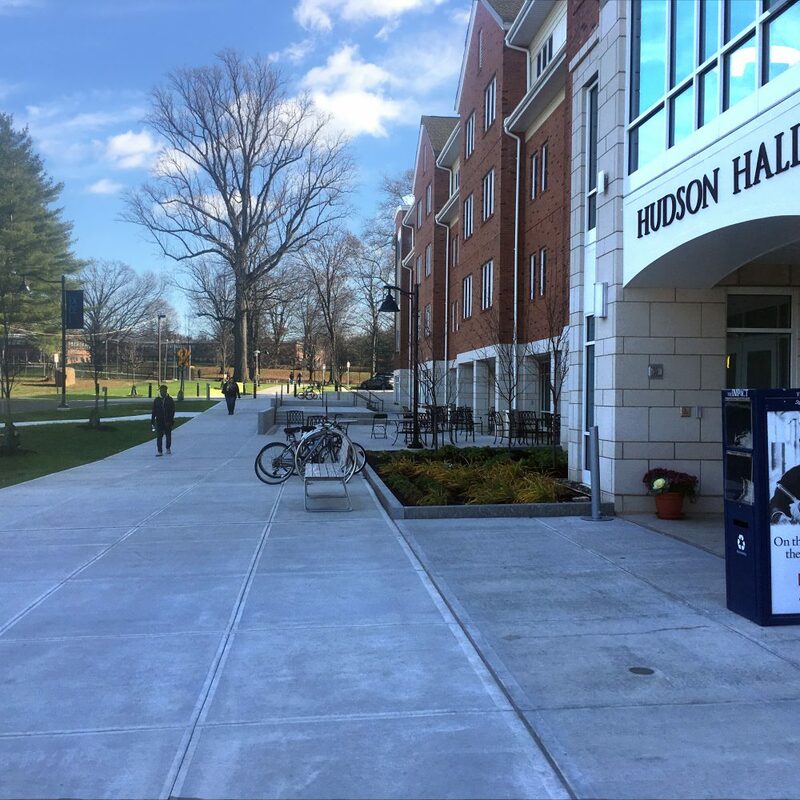 At the lower level a terrace seating space was developed along the new main campus pedestrian corridor linking classrooms with the two residence halls. 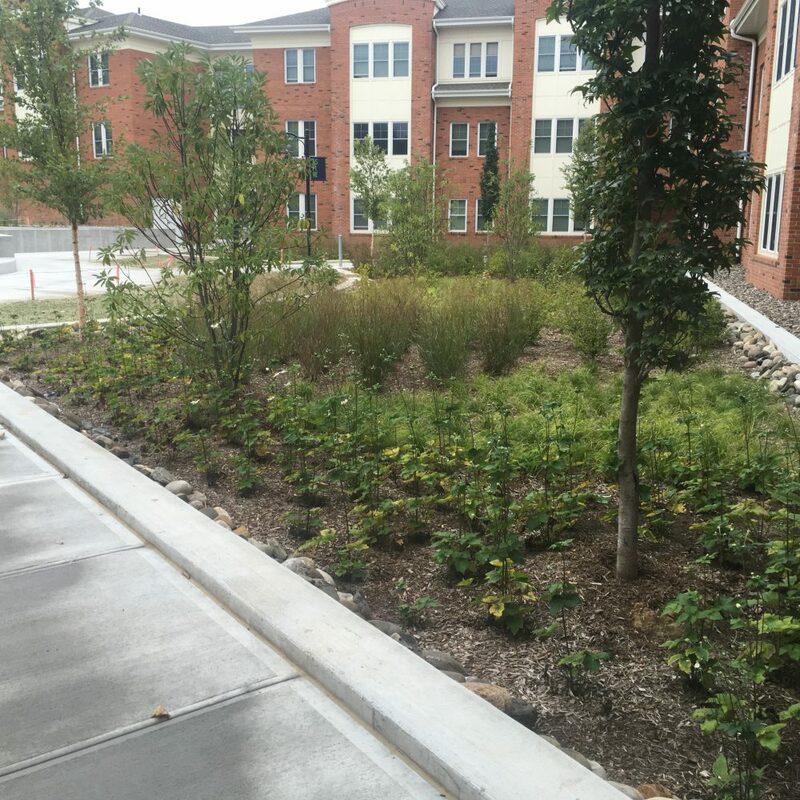 The site development concept included stormwater planters and detention areas designed as aesthetic features as part of the college’s sustainable design initiative.